Our Wave Tube Display series features lightweight, easy-to-assemble aluminum tube frames which can be set up in just minutes. The dye-sublimation graphics are printed on lightweight, machine-washable fabric, which zips up like a pillowcase around the aluminum frame. 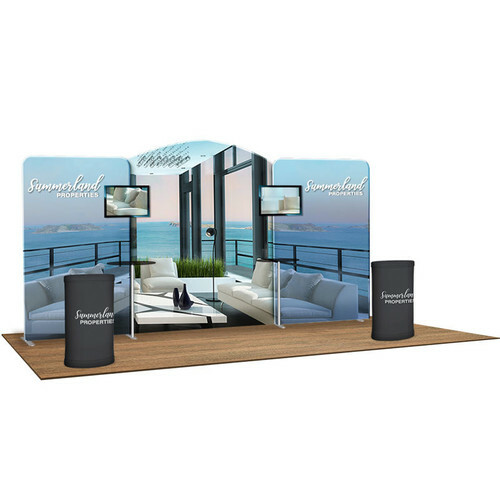 This unique combination makes our Wave Tube Displays an ideal solution for a highly customizable, yet extremely portable display that will wow your potential customers at trade shows, conventions, and other events.